Dolby Atmos® is an award-winning technology that breathes life into storytelling by allowing the creative freedom to easily place and move sounds anywhere in the cinema, including overhead, to make audiences feel as if they are inside the movie. The immersive experience utilizes up to 64 channels. It is designed to enhance the conventional 7.1 format by adding an additional stereo overhead array and up to 118 ‘sound objects,’ which can be moved through the theatre in all three dimensions. 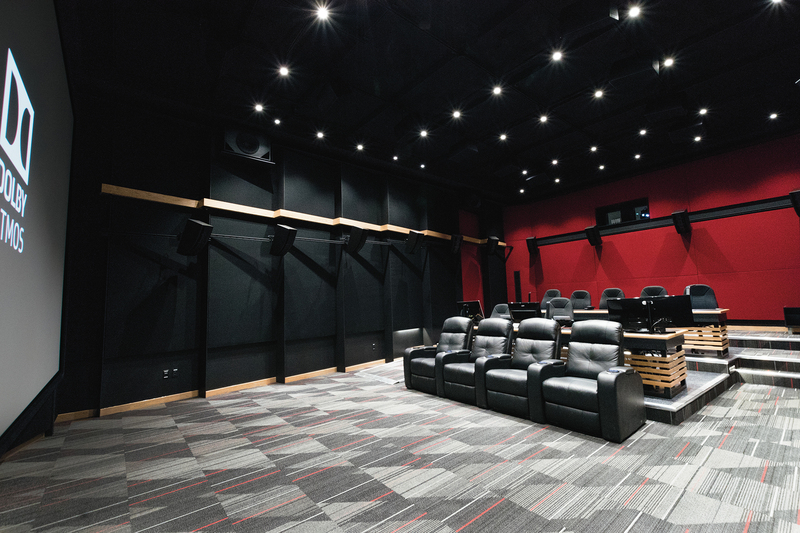 Dolby Atmos® Cinema processors take into account the exact specification and dimensions of any playback auditorium so that the effect is the same in each theatre. 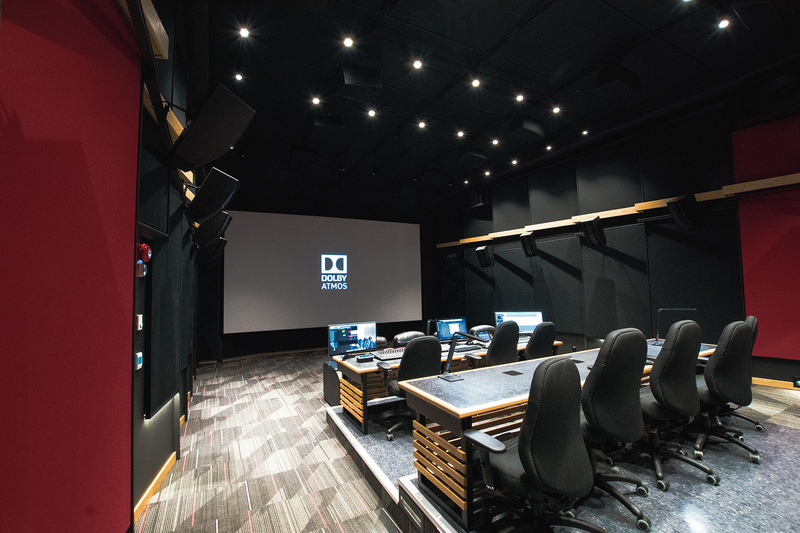 Canadore College’s Dolby Atmos ® Certified Mix Theatre features a 41 speaker surround sound system with 70,000 watts of power allowing the mix stage to handle any scale of production. Christie True 4K Digital Cinema Projector - For the richest cinematic experiences, Christie digital cinema solutions offers DCI 4K from source to screen. That means the most brilliant, high resolution visuals and most accurate colour reproduction.